Qualcomm isn’t content with conquering smartphones and is announcing a new line of Snapdragon chipsets geared towards laptops running Microsoft Windows. The new line, dubbed the Snapdragon Extreme 8cx series of chips aims to help Qualcomm pitch a solution for the Windows market which has been exclusively dominated by Intel’s Core series of CPUs and AMD’s chips for the past several decades. The chip comes with new Kryo 495 cores, which serve as upgraded versions of the Kryo 485 found in the Snapdragon 855. The X24 Modem should be capable of 2 Gbps download speeds and up to 300 Mbps upload speeds on an LTE connection. Aiding these are the Spectra 390 ISP and Hexagon 690 DSP, both upgrades from the 855 to bring things up to speed. While the chip will undoubtedly be built to conserve battery life, that doesn’t mean it’ll be any less powerful. The chip is built for the PC and according to Qualcomm, it should be able to do “real multitasking and productivity”. 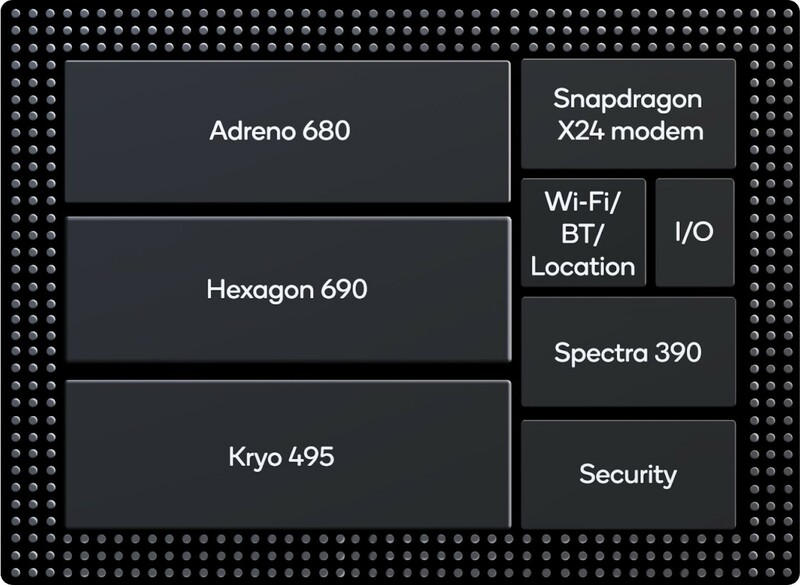 The 8cx will be accompanied by the Adreno 680 graphics solution which is supposedly 60% more power efficient than the Adreno GPU in the Snapdragon 850. According to Qualcomm, the chip will offer performance comparable to, or even 50% faster than the Intel U-series of processers while consuming 50% less power. A lot of that has to do with the 7 nm manufacturing process which, while soon set to become a norm in the smartphone industry with yesterday’s unveiling of the Snapdragon 855, is a new thing in the PC industry. The 8cx should also support up to 16 GB of RAM along with faster Solid State Drives compatable with NVMe. A host of apps are planned to be supported natively, including the widely popular Chrome and Firefox browsers. Support fo other popular apps such as Netflix, Spotify, Hulu, VLC, Minecraft and many others is coming soon, as Qualcomm stressed through a slide shown during the keynote. Qualcomm is currently in the process of announcing these chips and we’ll update this post as we learn more details.